Click here for more hosting features. Pappashop takes the guesswork out of owning an online e-commerce business. We offer an easy-to-use mobile responsive site builder and content management system (CMS) with FREE shopping cart, all in one affordable hosting package! We're so confident you'll love our system that we offer a 100% Satisfaction 30-day Money Back Guarantee! Best of all, there are no setup or sales fees, the site builder is completely SEO friendly and there is NO HTML knowledge required to maintain your site! 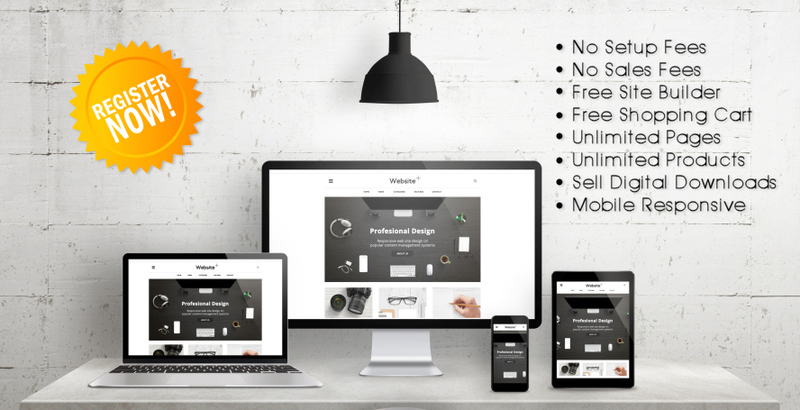 Need a mobile responsive web template? We offer ten built-in templates and a large selection to purchase as well. If you have any questions, please don't hesitate to ask!